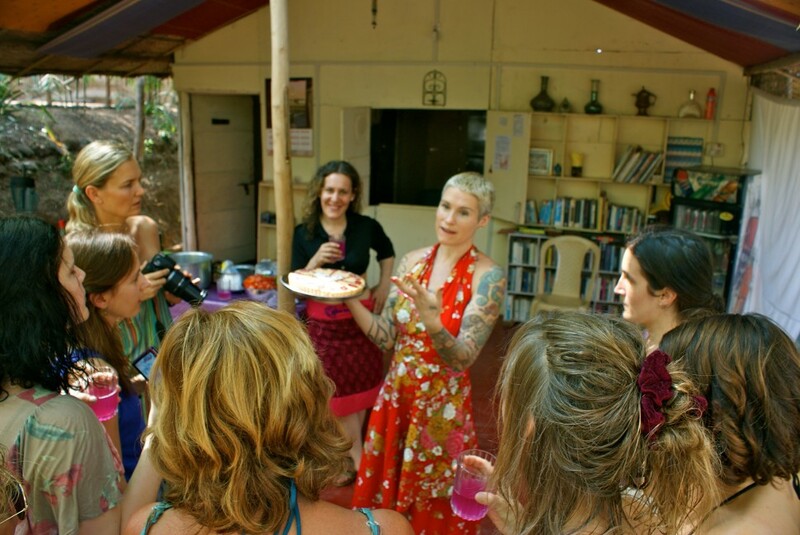 The Raw Magic Academy covers everything you need to know to make the raw lifestyle practical and sustainable. Maintaining a raw vegan diet is easy once you have an understanding of a few basic principles, and this is what Kate Magic covers in the videos. Kate herself has been a raw vegan for over two decades – what she doesn’t know about the lifestyle isn’t worth knowing! Whether you’re struggling with the cold, wanting to know how to do it with kids, or curious about all the new superfoods, it’s all covered here in great detail. And if you watch a video and you still have questions, you can put them to Kate on the comments page and she will respond. As well as the individual videos, you can also purchase the whole package, in the form of The Raw Magic Advanced Course, which features dozens of helpful recipes to get you inspired as a gourmet raw chef, as well as comprehensive information on all aspects of the raw lifestyle. Once purchased, these videos are yours to watch again and again. They all come with helpful PDFs that you can download and print out to refer to. Thank you for joining us here. We are sure you will find the information contained within nothing short of life-changing. Thousands of people have experienced Kate’s magic in live presentations around the world – now you can enjoy it from the comfort of your own sofa.